In 1750 Caroline Herschel was born into a large family in Hanover, Germany. Her father, a musician in the Hanoverian guard, encouraged the development of her musical talents. However, because she was a girl, she received only a minimum of formal education and instead was expected to help to care for her family. She assisted with household management in Hanover until she was 22, when her brother WILLIAM HERSCHEL, who was a music instructor in Bath, England, invited her to come to England to assist him. (She was allowed to go only after her brother promised to pay the family for a maid to replace her.) 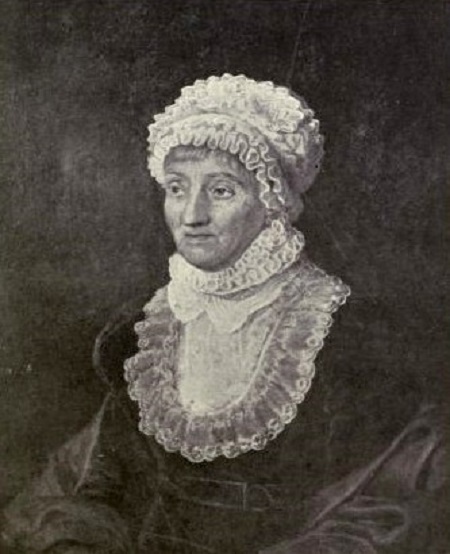 Once settled in Bath, Caroline Herschel trained and performed successfully as a singer. But her brother’s interests also included astronomy, and she gave up a budding musical career to assist him in that field. In 1781 her brother discovered the planet Uranus. The following year, both she and her brother gave their last musical performance and thereafter directed their attentions to astronomy. In 1782 her brother was appointed court astronomer to King George III. Five years later, she was appointed officially as William Herschel’s paid assistant. In 1782 her brother gave Herschel her own telescope. Her earliest independent discoveries included three new nebulae, and by the time a year had passed, she had discovered several new star dusters and 14 new nebulae. In 1786 she became the first woman recognized for the discovery of a comet. She also collaborated with and supported her brother in many studies of double stars. She undertook extensive work in cataloging stars. She revised the star catalogues of the seventeenth­century astronomer John Flamstead, correcting their errors and facilitating their use. At the age of 77, she completed an immense work called A Catalogue of the Nebulae on the positions of some 2,500 nebulae, or faintly luminous patches among the stars (those within the Milky Way are now recognized as gas clouds; those beyond it are now known as galaxies). The Herschels’ interest in and knowledge of nebulae led them to the inspired speculation that some of these mysterious cloudy­ appearing objects might actually be independent galaxies far beyond the Milky Way. With her brother, Herschel built new styles of improved reflecting telescopes. They not only made larger ones, they also invented methods of casting and mounting them. Caroline Herschel herself made the mirrors for a custom ­built 12­meter telescope that they used for their work. In her later years, Herschel received international recognition for her work as an astronomer: the Royal Astronomical Society elected her an honorary member in 1828, and the King of Prussia awarded her a gold medal in science in 1846. Caroline Herschel died in 1848 at the age of 97. Caroline Herschel’s work in discovering and cataloguing stars and nebulae added significantly to the understanding of the night sky. Herschel’s revision of Flamstead’s star catalogues helped to further the ongoing and accurate charting of astronomical objects. A Catalogue of the Nebulae became a benchmark for future observers, amateur and professional alike, who have searched for luminous bodies beyond our solar system. She and her brother introduced pioneering ideas in cosmology, including the idea that some of the nebulae they studied might actually be extremely distant, independent galaxies rather than objects within the Milky Way. This was the first intimation of the true immensity of the universe, and it extended the scope of astronomy from interstellar to intergalactic space. The new telescopes that Herschel made with her brother also helped to extend the reach of astronomers. Caroline Herschel has a unique place in the history of women in science: without any systematic education or training, she became a great astronomer and helped to open up astronomy to many other star gazers. Her willingness to learn a new discipline and work with her elder brother, coupled with personal initiative and independent thinking, helped make their partnership productive of both individual and shared accomplishments, and ultimately led to advances in the field of astronomy.